Wargames, Soldiers & Strategy is a must have Bi Monthly magazine for enthusiasts of the wargaming hobby. With plenty of full colour pictures to be found throughout the mag, it’s real strength is the depth of the articles. If you are looking for a good thought provoking read, this is the magazine for you. 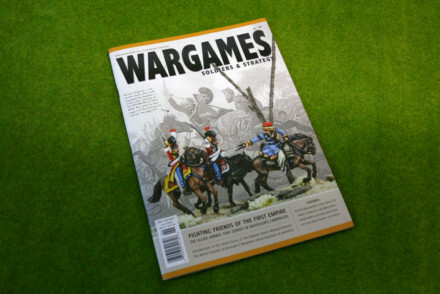 The magazine regularly features content from the big hitters in the wargames world, giving you an insight into the background behind the rules and games systems. The Magazine also boasts a wide range of in depth product reviews. If you haven’t read this magazine before please give it a try, you will not be disappointed!